A transportable, hardware RAID, 8-Bay Thunderbolt™ 2 solution offering content creators colossal capacity and high definition performance. 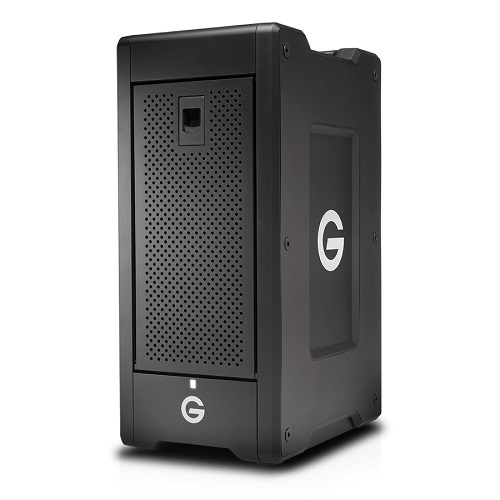 Designed to support multi-stream 4K workflows and beyond, the G-SPEED Shuttle XL can be configured in RAID 0, 1, 5, 6, & 10, features transfer rates up to 1350 MB/s, Enterprise-class hard drives and the trusted G-Technology 3-year warranty. It is the ultimate storage solution for demanding video workflows on location and in the studio.